According to a latest estimate from the IRS, the government loses around $458 billion dollars in unpaid taxes every year. 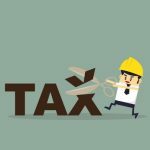 Many delinquent taxpayers who owe the IRS huge amounts in unpaid taxes, whether individuals or corporations, are not always in a sound financial condition. 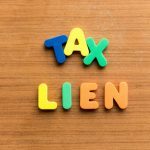 Apart from using tax enforcement efforts such as audits to recover the money, the IRS also helps delinquent taxpayers mitigate financial hardships through programs such as the Offer in Compromise. 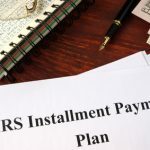 The IRS Offer in Compromise is basically an agreement between the taxpayer and IRS to settle outstanding debts in exchange for an amount that is lower than what is owed. Though the program is effective in slashing a significant portion of outstanding debts, taxpayers need to approach the application process correctly to increase their chances of success. The blog post is a step-by-step guide to filing for an IRS Offer in Compromise. 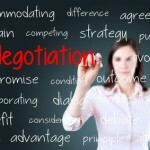 Filing an Offer in Compromise is meant to eliminate outstanding tax debts. The IRS does not accept any random amounts when settling outstanding debts, such as “pennies for dollars”, and assesses a number of factors before they approve or decline an OIC claim. Calculating a reasonable offer amount is therefore, the first step to pacify the IRS into accepting your OIC. For that to happen, you need to gather essential personal and financial details such as investments, available credit, assets, income, gross income, and expense report for the IRS to accurately evaluate your offer. When you calculate the offer amount, keep in mind that college tuition fees, charitable payments, and unsecured debt payments are not factored in calculating expenses. Form 656 is the main Offer in Compromise form that is supposed to be completed by any person or corporation filing for an OIC. The form asks for basic information about the taxpayer, the type of debt, and identifies the payment terms, should the IRS find your application reasonable. Individual wage earners, sole proprietors, or people submitting applications on the behalf of deceased individual taxpayers need to complete Form 433A. Once you submit the form, the IRS will come up with an offer amount after factoring your assets, income, expenses, and earning potential based on educational qualifications and experience. Form 433 B is exclusively meant for businesses filing for an OIC that, including Corporations, Partnerships, LLC classified corporations, and single or multi-member LLCs. 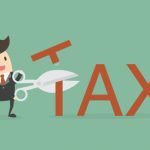 In such instances, the IRS officials will evaluate the OIC claim to decide on an appropriate offer amount, depending on the assets, income, expenses and future earning potential of the business. After completing the forms in your respective category, the job is only half done. The next step is to supply the necessary documents for the IRS to check the legitimacy of the information contained in each of the forms. 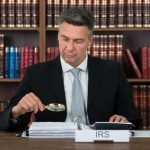 Though Form 656 is common for all IRS Offer in Compromise applicants, suitable documentation needs to be attached with Form 433-A and Form 433-B. You can find the list of documents to be attached at the bottom of each form. When attaching documents, make sure that you attach scanned copies and not the originals. The IRS requires you to pay a non-refundable $186 application fee when filing an Offer in Compromise. On top of that, you are also expected to make an initial payment based on the payment option selected while filling out Form 656. The amount of the initial payment and whether it is going to be a one-time or recurring payment depends on the payment method selected by the OIC applicant. Include separate personal checks, cashier’s checks or money orders for making both payments. The application fee and initial payment are, however, exempted for people meeting the low income certification guidelines. Even after submitting an Offer in Compromise, the IRS may ask for additional information to evaluate the suitability of your application. Therefore, it is advisable to promptly reply to any such requests from the IRS within the stipulated timeline to keep your application on track. 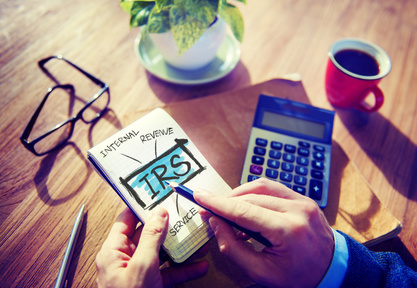 The IRS takes about 6 to 12 months to evaluate your Offer in Compromise application, after which they sending an Offer of Acceptance or Rejection, whichever is applicable. The IRS laws are quite complex and therefore, you should seek professional assistance when applying for an OIC to increase chances of acceptance. 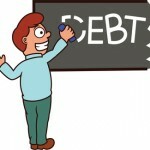 If you want to learn about IRS Debt Relief or the OIC Program, look no further than the Law Offices of Nick Nemeth. To get a no-obligation free consultation with Nick, fill out our contact form. You can also call us at 972-627-4705. For CPA’s and Attorneys: If you are in the Dallas, Ft. Worth and surrounding areas and need help with any of your clients, please do not hesitate to ask us for help.